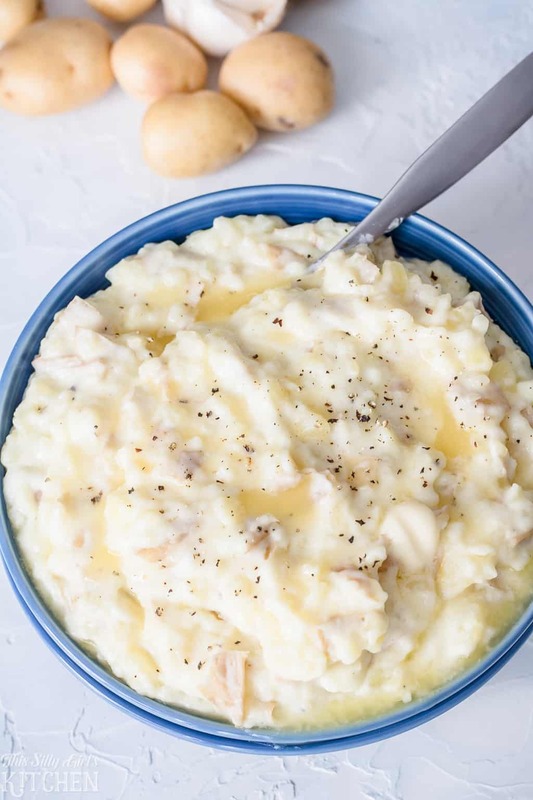 Garlic Mash Potatoes, creamy garlic mashed potatoes ready in just 20 minutes! 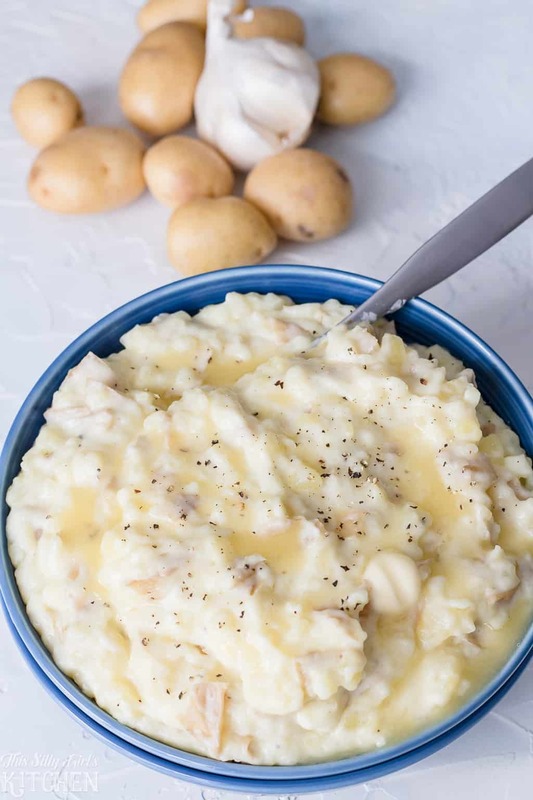 Delicious, creamy, and flavorful- the perfect garlic mash potatoes! PIN IT NOW SAVE FOR LATER! 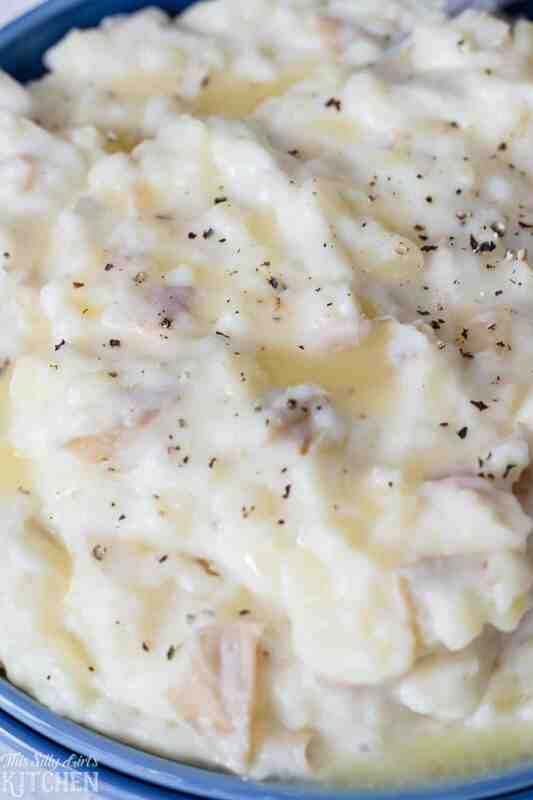 Creamy Garlic Mashed Potatoes are one of my favorite side dishes ever. 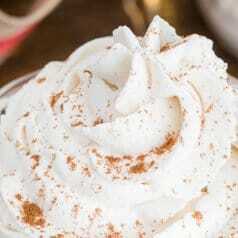 They are super versatile and with my recipe below, can be made in 20 minutes! Take me to the recipe for Garlic Mash Potato already! 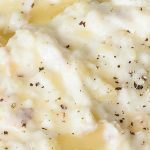 If you would rather not hear my super helpful tips and tricks, FAQ, and my overall awesomeness and get straight to this delicious Garlic Mash Potato – you can very easily scroll all the way to the bottom of this post for the full printable FREE recipe! Bon appetit. What is the best potato for mashed potatoes? For this mashed potato recipe, I used a tender-skinned potato, baby yellow potatoes to be exact. This way, I don’t have to peel them! I love using these types of potatoes for recipes because one… I’m lazy and two… I really like the texture and flavor that the skins add. 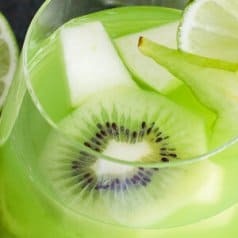 There are only 7 ingredients total in this recipe, and most you probably already have on hand. Potatoes, garlic, butter, milk, sour cream, salt, and pepper. Super easy, super delicious with a hint of garlic that adds something special to the dish. Wash potatoes well, cut into a small dice, about 1/2 inch pieces. Place into a pot and cover with water. Add the garlic directly to the pot. Bring to a boil, reduce to a simmer and simmer for 15 minutes, or until potatoes are tender. Drain potatoes through a fine mesh strainer. Add potatoes back to the pot. Add the rest of the ingredients and mash to the consistency you like. 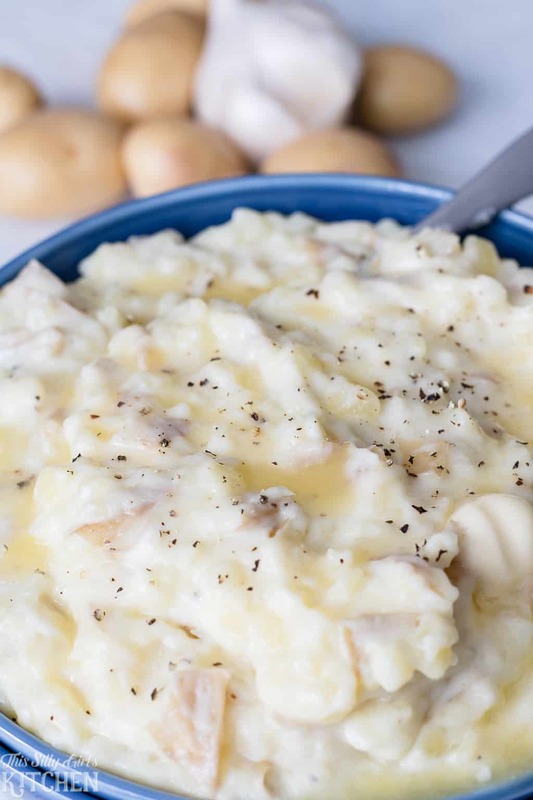 Can you cook mashed potatoes in slow cooker? Absolutely! If you don’t have time to watch a pot, or you need to have this cooking while the stove is occupied on Thanksgiving, I got you covered! All you need to do is prepare the potatoes the same way as in the directions, except you are going to add them to your slow cooker with 1/2 cup of chicken stock and the garlic. Cook on high for 3-4 hours or on low 6-7 hours. When the potatoes are tender, just add everything else to the pot and mash! As you can tell from these photos, I like to keep them a little chunky. I just think it adds a nice textural component to them! Feel free to use any potato you wish. Russet potatoes work super good as well, but you will need to peel them. I use russets whenever I want more of a fluffy mash instead of a creamy one. 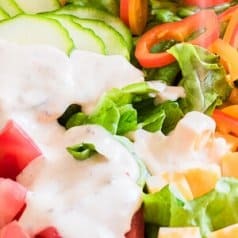 Go crazy and add toppings or mix-ins such as bacon, scallions, and cheddar cheese. Instant loaded mashed potatoes! And make sure to check out my grilled potato salad, rosemary roasted potato fingerlings, my delicious Parmesan smashed potatoes. Chef’s knife, every kitchen needs one! Cutting board, I love these non-slip ones. A pot to cook the potatoes in. A slow cooker in case you want to try the slow cooker method. Fine mesh strainer, to strain the potatoes. A potato masher to mash everything together. 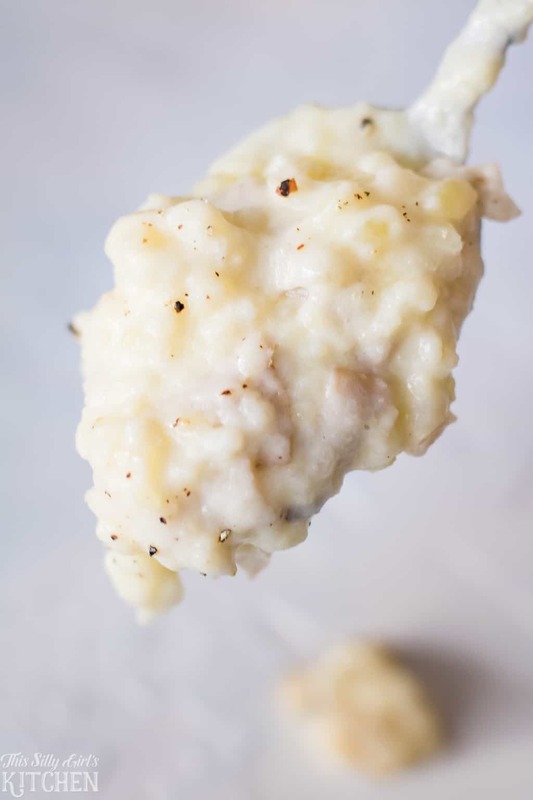 Garlic Mashed Potatoes, creamy garlic mashed potatoes ready in just 20 minutes! Place potatoes and garlic into a medium size pot. Fill with water, making sure the potatoes are fully submerged with about 3 inches of water on top. Bring to a boil, reduce to a simmer and simmer for 15 minutes. Strain potatoes through a fine mesh strainer. Add back to the pot. Add the remaining ingredients and mash to the consistency you want. Homemade mashed potatoes are my favorite, but I always hated how long they took to make! I can’t wait to try this recipe out!